Efforts to promote increased coffee consumption and expansion of coffee chains across the nation do not seem to have translated into real support for the country’s coffee growers. Despite a single-digit growth rate for coffee demand in the domestc market in the past few years, prices are consistently falling due to oversupply. Part of the coffee produce that would have been exported is also coming back to the domestic market. Five years ago, the price of a 50-kg bag of raw coffee was around Rs 9,000. Now, it is selling 30 per cent cheaper at Rs 6,000-6,500, which is much below the cost of production. 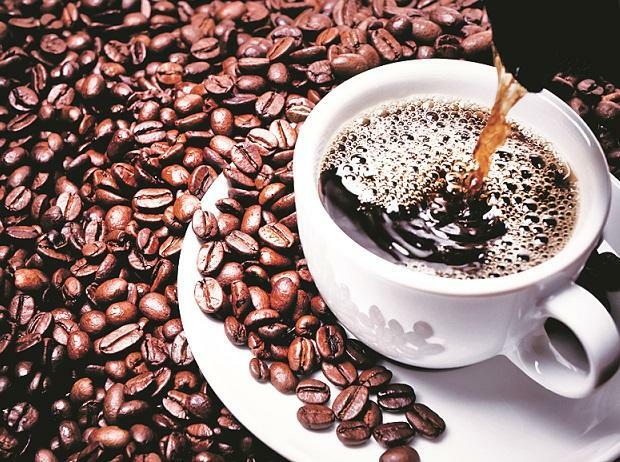 In the export market, prices dropped to around $1,500 per tonne from $1,800-2000 last year, says Coffee Exporters Association President Ramesh Rajah. Rabobank’s estimates for the Robusta variety over the next two quarters is $1600-1640 per tonne . Sudip Sinha, senior research analyst at Rabo Research Food & Agri, said global prices were dropping mainly due to higher exports from Brazil — as its production was high and a weak currency made exports lucrative. Coffee growers in India export 80 per cent of their output. Global consumption grew 1.5 per cent in 2018. However, production outpaced consumption, resulting in a surplus. Unless there is a drop in production, which doesn’t seem likely, prices would not drop, says Rajah. According to the International Coffee Organization, exports of the Arabica variety grew 4 per cent in 2018, whereas that of Robusta grew 8 per cent. The Coffee Board’s post-monsoon crop estimate for 2018-19 is placed at 3,19,500 mt — 95,000 mt of Arabica and 224,500 mt of Robusta. This is a decline of 60,500 mt, or 15.92 per cent, from the post-blossom estimate of 380,000 mt. As far as domestic market is concerned, demand is growing in high single digits. It is decent growth but underwhelming realtive to the size of India’s population. Non-traditional coffee markets outside Tamil Nadu and Karnataka are not seeing traction in demand, contrary to expectations. So, price movements in the future depend upon how demand rises locally. The Coffee Board’s initiatives, such as encouraging entrepreneurs to set up Indian Coffee Houses or coffee chains, promoting coffee at various forums, etc, had not helped boost demand for the cash crop, despite better visibility, said Rohan Colaco, a planter from Karnataka. Coffee consumption has increased from 60,000-65,000 tonnes in the 1990s to 80,000-85,000 tonnes in the past two years, but the industry doesn’t regard this as a significant jump. An industry insider says while retail chains have helped create a coffee-drinking culture, they aren’t helping spur demand. The Indian coffee chain industry generates revenues of $400-450 million, of which coffee costs account for only 10-15 per cent. Emails sent to CCD and Tata Global Beverages were not responded to. Coffee Board officials were also not available for comment. According to Rajah, unless coffee consumption at the household level rises in states outside the southern region and in the traditionally tea-consumption markets, the demand will not get a significant boost. The per capita consumption of coffee in India is very low — at less than 100 grammes — compared with 4 kg in the United States and 9 kg in Finland.